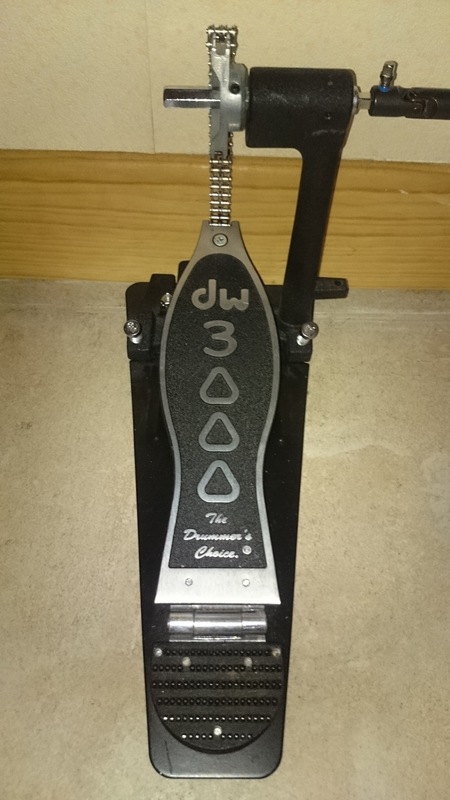 3000, Single Bass Drum Pedal from DW Drums. 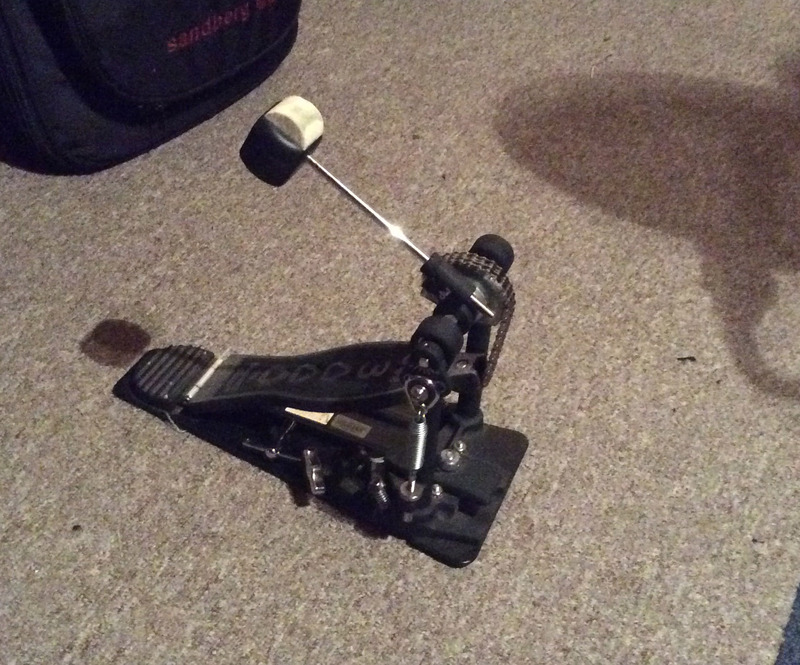 I was reluctant to move from Tama to DW for my kick pedal, but I needed to as my iron cobra bit the dust about 2 years ago. What I liked about the unit is the fact that has a dual-chain drive, which is something that looks like overkill. but does the job well. The continued pressure/release motion of use means that the lubrication of the shaft is a must and a continued process. Without doing this maintenance, the unit will die prematurely. I learned this with my iron cobra pedal. I have since looked for a pedal with a dual drive shaft, as the pressure and resistance of metal on metal or metal on rubber, metal on plastic does wear less if more surface area is involved. 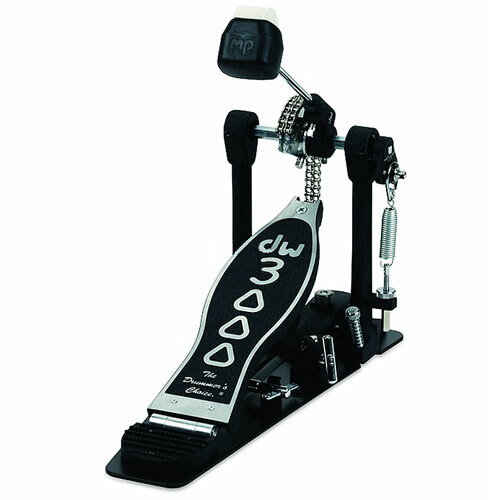 Also this unit apparently sports a bearing spring rocker assembly, like most common kick pedals do today, but I will say the spring seems much more heavy duty than my previous pedal. DW claims it features a 101 2-way beater, which is standard these days in my opinion, and heavy-duty all metal construction, which i can attest to is really strong and will not break even when dropped or ran over by a minivan like mine was. 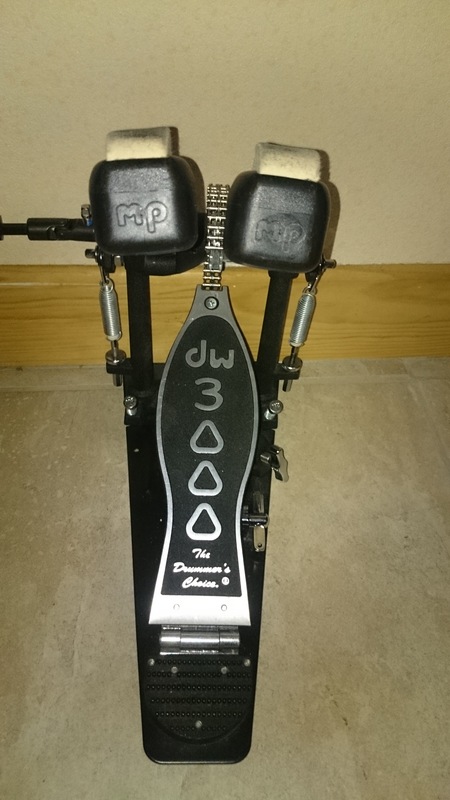 My unit did not feature a drum key as advertised, but was not an issue for me or I am assuming any drummer who is of caliber to want such a pedal should have a stash of drum keys and not need an extra to add to the draw. As far as maintinance, besides a few drops of oil on the chain and an occasional dusting, the unit remains working as great as the day I took it home. 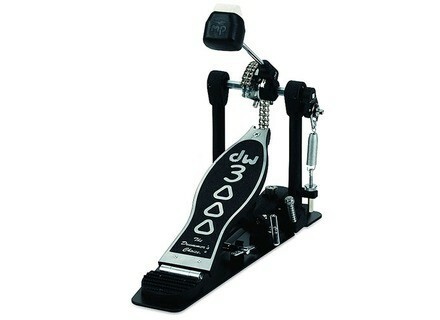 I wish I bought the double kick, and will be looking forward to purchasing that soon, with a review update to follow.